One Central Macau is a waterfront flagship shopping mall in Nape Area. 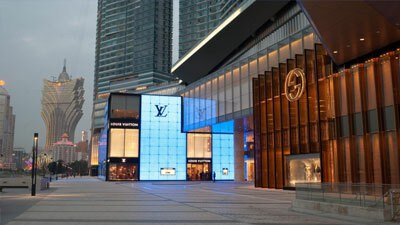 One of the world’s luxury goods hotspots One Central Macau strive to be one of the city’s top designers shopping destination such as the Louis Vuitton Espace gallery. Across the street Wynn Esplanade already well established, houses the world’s most luxurious brands in exquisitely designed retail spaces for those willing to shop in comfort and style. Situated near Grand Emperor Hotel, and one of the most important shopping malls for local residents and visitors, New Yaohan offers a wide range of famous brands including ladies’ and gentlemen’s fashion, cosmetics & perfumes, children’s and baby products, sports & young casual, bedding, household, kitchen & electrical appliances. Horta e Costa is a residential and shopping district primarily frequented by the local people of Macau. For a tourist, it is a great way to see where much of Macau’s population lives and shops and sample a bit of local culture. Starting from the Red Market to the Flora Garden at Guia Hill, Av. de Horta e Costa is another of the city’s main shopping streets with a focus in what is called the Three Lamps District. Streets and lanes radiating from this square accommodate a selection of shops selling jewelry, clothes, shoes, cameras and electronic gadgetry. 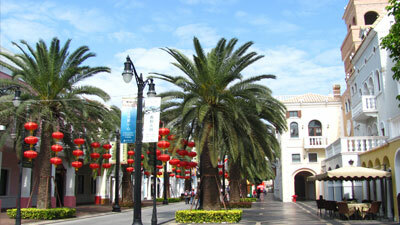 Avenida de Almeida Ribeiro also commonly known as San Ma Lo, is the main avenue in the heart of Macau Peninsula. 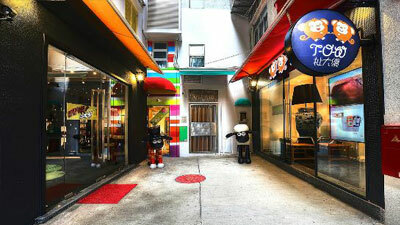 A visit to this area is a must for visitors exploring Macau. This busy district, within Macau’s historic and cultural neighborhood, is well known for its jewellery stores, traditional dried-seafood & pastries shops and street clothing shops. Close to St Paul’s ruins, near Calçada do Amparo and the Chon Sau patio, visitors can find a oasis of near the busy streets. Pleasant district with Colorful walls and multi-colored bunting banners offering a wide array of options, ranging from ceramics to crafts, coffee, design accessories & sculptures. This new little area has lots of new designer boutiques, art galleries and a super cool sweet store. Also near the Ruins of St. Paul’s is a street called Rua di San Paulo. You can find almost anything there – Macanese food, jewelry, antiques, artwork, handicrafts, clothing, fashion accessories, and many, many others. 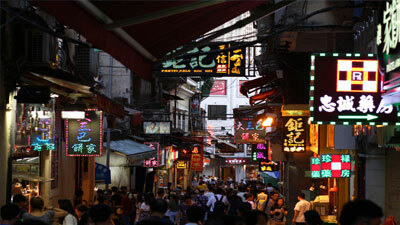 If you’re looking for good, inexpensive deals while shopping in Macau, Rua di San Paulo is where you should go. Macau Fisherman’s Wharf was the first themed shopping complex in Macau. Centrally located in the outer harbor of Macau, near maritime terminal to Hong Kong, here visitors can find diverse restaurants and few shops offering fashion clothes, jewellery and beauty products. 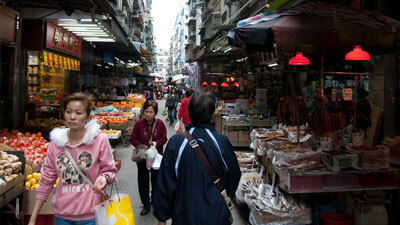 The Taipa Village holds a bazaar every Sunday, where vendors sell a huge selection of local products. Here you can get handicrafts and other souvenir items, as well as food you can bring home with you. You can also find more conventional items like clothes, fashion accessories, toys, jewelry and home décor at the bazaar. 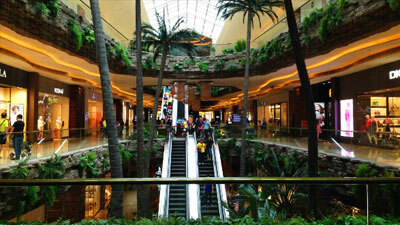 If you’re looking for some high-end shopping in Macau, the Cotai Shopping malls are the place to go. Shopping at the Venetian grand canale is a dazzling experience, with 650 stores in three malls to choose from and most of them bearing names like Hermes, Prada, Armani, Jimmy Choo, Marc Jacobs, and so many others. This is the place to be if you have money to burn. From Venetian property you can cross Cotai through a pedestrian bridge that will lead you to the shopping mall known as The Shoppes at Cotai Central. Just across the street you can reach City of Dream Shopping Mall called the Boulevard, dedicated to multi-branded, lifestyle ready-to-wear brands, accessories, shoes, watches – grooming all in one space! Other high End Shopping experience can be found at the promenade in Galaxy property which offers same multi-branded luxury shops.